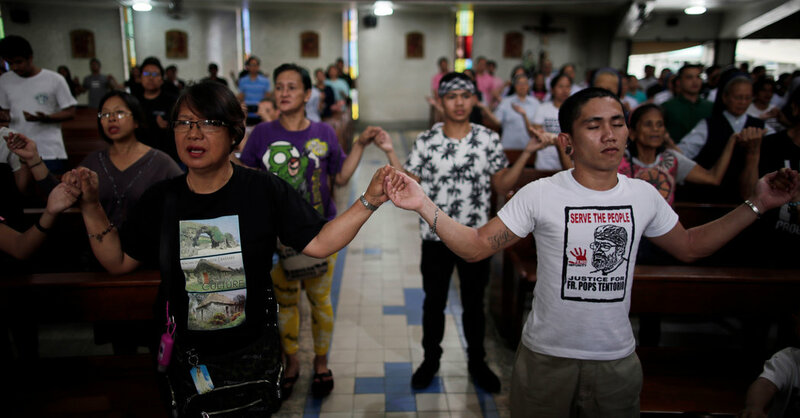 MANILA – The Philippines Supreme Court ordered the government on Tuesday to release thousands of deaths related to President Rodrigo Duterte's drug war. Rights groups quickly welcomed the Supreme Court's decision and said it would close many families of the more than 20,000 people they estimate have been killed in the degradation that Mr. Duterte has justified as necessary to complete drug trafficking. A spokesman for the court said the lawyer general had been ordered to file police and other reports of murder to the Supreme Court within 60 days and copy the petitioners. Advocate General Jose Calida had argued that sharing documents with third parties could jeopardize national security. The court had previously rejected the same argument when the petition was filed in February when Calida tried to avoid submitting the documents. The petitioners were the Center for International Law (Centerlaw), a law group for rights and the Free Legal Assistance Group, which represents low income customers. The Court has not yet spoken on a separate petition from the Free Legal Assistance Group asking to declare constitutional repression by the police. The group says police have been allowed to kill people who are suspected of selling drugs instead of arresting them. The government says that 5,000 deaths have occurred during the police. But there are thousands more cases that are classified as "deaths under investigation", including many who say officials were killed by venture giants. The majority of the dead were residents of poor communities or politicians, such as Mr. Duterte had personally labeled as drug lords. The president's critics have accused him of using drug war to eliminate rivals. Romel Bagares, a lawyer helping Centerlaw in the case, called the Supreme Court's decision a "big step towards responsibility" for drug war death. In an interview, Mr Bagares said that police reports should show whether appropriate procedures had been followed. According to the operations manual used by the police, he said that a suspect's death during an operation requires the submission of at least 30 documents, including a report to the public prosecutor seeking to establish that the suspect died while he was opposing officers. "There should be 5,000 plus interpretations there," said Mr Bagares, adding that for each report, "forensic aspect should correspond to the procedures for their use of force". The Supreme Court also ordered state lawyers to file records for all "buy-bust operations" performed in the San Andres Bukid district of Manila, the Philippine capital, where many of the killings have taken place. In 2017, Centerlaw filed a petition with the Supreme Court to issue a written letter on the protection of residents of the district from the drug war. Mr. Duterte is already facing two murders at the International Criminal Court, a situation that led his government to officially withdraw from court last month. The first complaint was filed in April 2017 by two men who said they had worked Mr. Duterte's death group after becoming Mayor of the southern city of Davao at the end of the 1980s. The other was filed in August this year by relatives of eight people killed by police officers in the drug war. Neri Colmenares, a rights lawyer who helped bring the other case to international law, said the police had no choice but to comply with the Philippine court's decision, even though it angered Mr Duterte. In an interview, Mr Colmenares demanded that the government follow the order of the law and provide copies of police reports to lawyers representing the victims' families. This will help us see the true human rights situation in the country in the time of Duterte's drug war, "he said.